You will Watch G.I. Joe: A Real American Hero Season 1 Episode 36 online for free episodes with HQ / high quality. Stream cartoons G.I. 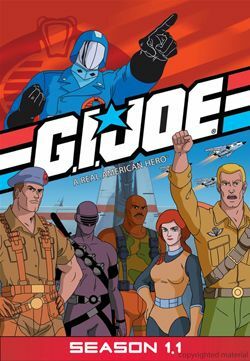 Joe: A Real American Hero Season 1 Episode 36 Worlds Without End (Part I) Cobra invents a matter transformer, but the Joes steal the machine’s blueprints. The machine sends the Joes into an “alternate reality” universe where Cobra rules the world. Steeler gets sick from a diseased insect Destro created and gets lost while the rest of the team gets captured by Cobra Commander.